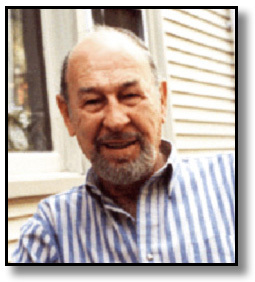 John Prentice (1920-1999) was born on October 17 in Whitney, Texas. From 1940-1946 he served in the Navy. Having survived the bombing of Pearl Harbor, he went on to serve on two destroyers through eight major military campaigns. Having briefly attended the Art Institute of Pittsburgh, he moved to New York in 1947 where he worked on everything from comic books to magazine covers. Following Alex Raymond’s death in 1956 Prentice was chosen to carry on the strip and did so for 43 years. His work on Kirby was awarded the National Cartoonists Society’s silver plaque for best story strip three times and Rip Kirby is an honorary member of the honor legion of the New York City police department. The following is an excerpt written by Bill Crouch, Jr. from Maurice Horn’s book book 100 Years of American Newspaper Comics. 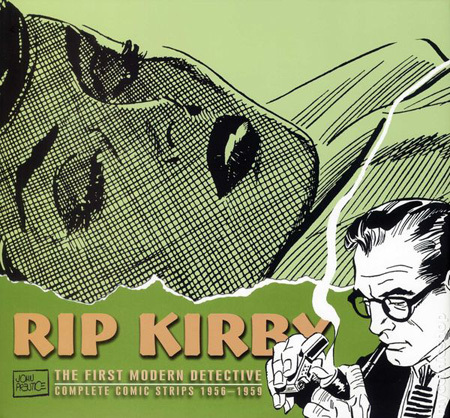 Rip Kirby celebrates his fiftieth anniversary as a syndicated comic strip in 1996, due in no small part to the excellent work done by John Prentice, who has done the strip for forty years. John Prentice’s work remains on a level above many other story strips. The point-of-view angles move constantly; characters make eye contact with the reader; the Raymond technique of the establishing landscape continues; and creative and unique crosshatching is used. Rip Kirby is a mature story strip with a bright future. Many hope that King Features will realize this and give Rip Kirby the promotional and sales push it seems to have lacked from the syndicate for many years. John Prentice bio from the National Cartoonist Society directory. Back in 1999 when John Prentice passed away I contacted some of his colleagues in the industry. They were kind enough to share the following reminiscences. An immense talent. A consummate craftsman with a rock-solid work ethic. A man generous with his talents, gracious to his fans and a devout family man. John’s wonderful sense of humor was capable of taking twists and turns before hitting you on the funny-bone. Being with John was knowing you were at the best party in town… and knowing John was one of life’s little perks. I first heard of John on the occasion of Alex Raymond’s untimely death in an automobile accident. The question on everyone’s lips was, “Who is capable of carrying on Rip Kirby?” George Raymond, Alex’s younger brother (and my assistant at the time) told me that John Prentice had been selected as Alex’s successor. The rest is history. John had a wonderful sense of humor and was always a very gracious and generous person. Everyone liked and admired him and his work. He liked to tell stories of his naval career and always had an appreciative audience. In his later years he was fortunate to marry Antonia who proved to be an excellent helpmate. We will all miss John. I first met John in January of 1960. He was looking for an assistant to go down to Mexico with him to help him out on “Rip Kirby”. I learned a lot from John Prentice. It was great working with him. It was fun. We were good friends – I’ll miss him. John Prentice was a close and admired friend. One of the foremost black and white illustrators in the United States. He was an extremely brave man. How else can you describe a young sailor who in the middle of all the strafing and bombing at Pearl Harbor commandeered an admiral’s tender and went out into the harbor looking for a gun to fire at the attacking Japanese? From then on he was on a destroyer involved in almost every big Pacific island battle. He approached his “Rip Kirby” strip like an illustrator. After reading a new sequence script, he researched every detail. Using his vast personal morgue, he checked costume, architecture, geography, everything. It slowed him down, but oh, it was beautiful… and it made him one of the top adventure strip cartoonists. John was a sincere, decent man. We all loved him. I’ve known John Prentice for 45 years. We’ve shared a studio. I assisted him for years since he started “Rip Kirby”. We’ve been close friends all those years. I enjoyed John’s good sense of humor and knowing him was to know someone who was always kind, honest, fair and always a true gentleman. 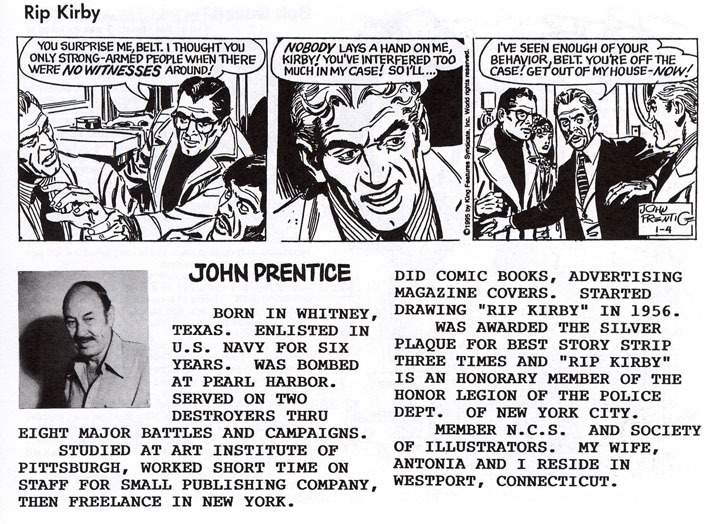 After John Prentice died the decision was made by King Features to discontinue the Rip Kirby comic strip. Here is the final week of Rip Kirby dailies ghosted by Frank Bolle that wrapped up the last storyline. Examples of John Prentice’s work on Rip Kirby. To see more of John Prentice’s exceptional work on Rip Kirby, check out Rip Kirby Volumes 5-11 from IDW Publishing – Highly recommended! This entry was posted in Artist Spotlight, John Prentice and tagged John Prentice. Bookmark the permalink.